After the 11 September 2001 attacks, the United States government launched a massive program to spy on millions of its own citizens. Through the top secret National Security Agency (NSA), it has pursued "access to billions of private hard-line, cell, and wireless telephone conversations; text, e-mail and instant Internet messages; Web-page histories, faxes, and computer hard drives." 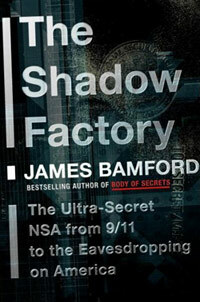 In his new book, The Shadow Factory: The Ultra-Secret NSA from 9/11 to the Eavesdropping on America author James Bamford casts light on this effort, including a detailed account of how spying on American citizens has been outsourced to several companies closely linked to Israel's intelligence services. It is well-known that the two largest American telecom companies AT&T and Verizon collaborated with the US government to allow illegal eavesdropping on their customers. The known uses to which information obtained this way has been put include building the government's massive secret "watch lists," and "no-fly lists" and even, Bamford suggests, to deny Small Business Administration loans to citizens or reject their children's applications to military colleges. What is less well-known is that AT&T and Verizon handed "the bugging of their entire networks -- carrying billions of American communications every day" to two companies founded in Israel. Verint and Narus, as they are called, are "superintrusive -- conducting mass surveillance on both international and domestic communications 24/7," and sifting traffic at "key Internet gateways" around the US. Virtually all US voice and data communications and much from the rest of the world can be remotely accessed by these companies in Israel, which Bamford describes as "the eavesdropping capital of the world." Although there is no way to prove cooperation, Bamford writes that "the greatest potential beneficiaries of this marriage between the Israeli eavesdroppers and America's increasingly centralized telecom grid are Israel's intelligence agencies." Israel's spy agencies have long had a revolving-door relationship with Verint and Narus and other Israeli military-security firms. The relationship is particularly close between the firms and Israel's own version of the NSA, called "Unit 8200." After the 11 September attacks, Israeli companies seeking a share of massively expanded US intelligence budgets formed similarly incestuous relationships with some in the American intelligence establishment: Ken Minihan, a former director of the NSA, served on Verint's "security committee" and the former Federal Bureau of Investigation (FBI) official responsible for liaison with the telecom industry became head of the Verint unit that sold eavesdropping equipment to the FBI and NSA. Bamford writes that "concern over the cozy relationship between the [FBI] and Verint greatly increased following disclosure of the Bush administration's warrantless eavesdropping operations. At the same time that the tappers and the agents have grown uncomfortably close, the previous checks and balances, such as the need for a FISA warrant, have been eliminated." FISA -- the Foreign Intelligence Surveillance Act of 1978 -- required the government to seek court warrants for wiretaps where at least one target was in the US. In 2005, it was revealed that the Bush administration had been flagrantly violating this law. Last July, Congress passed a bill legalizing this activity and giving retroactive immunity to the telecom companies that had assisted. Although there has never been any congressional oversight of the Israeli intelligence-linked firms operating in the heart of the US security establishment, American lawmakers and officials are not always so relaxed when it comes to foreign intrusion in the "national security" sphere. In early 2006, there was a national uproar when Dubai Ports World, a global company based in the United Arab Emirates (UAE), attempted to buy the business that manages six major American seaports. Democratic and Republican lawmakers united against the Bush administration's approval of the sale, claiming it would harm national security. Senator Barack Obama echoed many in both parties when he said at the time, "Over four years after the worst terrorist attack in our history, not only are we failing to inspect 95 percent of the cargo that arrives at US ports, but now we're allowing our port security to be outsourced to foreign governments." A New York Times editorial justified such alarmism on grounds that "money to finance the 9/11 attacks flowed through" the UAE, although there was never an allegation that the country's government or Dubai Ports World were involved in that. The newspaper also cited claims that "Abdul Qadeer Khan, the rogue Pakistani nuclear scientist, sent equipment to Libya and Iran through Dubai," even though it also acknowledged that "port managers have little if anything to do with inspecting cargo or checking manifests" ("Reaping What You Sow," Editorial, 24 February 2006). Nor have particular Israeli firms established a record of trustworthiness that would justify such complacency. Jacob "Kobi" Alexander, the former Israeli intelligence officer who founded Verint, fled the US to Israel in 2006 just before he and other top executives of a subsidiary were indicted for fraud that allegedly cost US taxpayers and company shareholders $138 million. Alexander eventually adopted a fake identity and hid in the southern African country of Namibia where he is now fighting extradition.  In only once case did US officials block an Israeli high-tech firm from taking over an American company for security concerns. Israeli companies do not assist the US only to spy on its own citizens, of course. Another Israeli firm, Natural Speech Communication (NSC), among whose directors is former Mossad chief Shabtai Shavit, makes software that the US uses to electronically analyze and key-word search recorded conversations in "Levantine Arabic," the dialects "spoken by Israeli Arabs, Jordanians, Lebanese and Palestinians." Mexico and Australia are among other countries known to use Israeli technologies and firms to eavesdrop on their citizens. Not surprisingly, some of Bamford's claims have been criticized by pro-Israel activists for lacking evidence. Writing about a subject shrouded in secrecy is inherently difficult. But even what is solidly known ought to make Americans demand that Israeli intelligence activities (not less than their own government's) be sharply curtailed. In his 2001 book Body of Secrets, Bamford contended that Israel's attack on the US Navy signals ship USS Liberty during the June 1967 war was deliberately intended to prevent the Americans from learning about Israeli massacres of Egyptian prisoners of war. Thirty-four sailors were killed in the attack on the ship off the Sinai coast. Despite decades of demands by USS Liberty survivors, the US has never reopened the investigation. So far Bamford's latest revelations involving Israel have had scarcely more impact. Former Democratic Senator Bob Kerrey gave The Shadow Factory a mostly glowing review in The Washington Post. But Kerrey, who was a member of the 9/11 Commission and is president of The New School University in New York, anxiously discounts Bamford's contentions that the 11 September hijackers in any way "were motivated by anger over an Israeli bombing of Lebanese civilians in 1996" and reassures us their only motive was "radical Islamic fervor." Kerrey concludes that Bamford's "apparent negativity toward Israel is a significant distraction from the content of his book" (Bob Kerrey, "Big Brother's Big Failure," 12 October 2008).